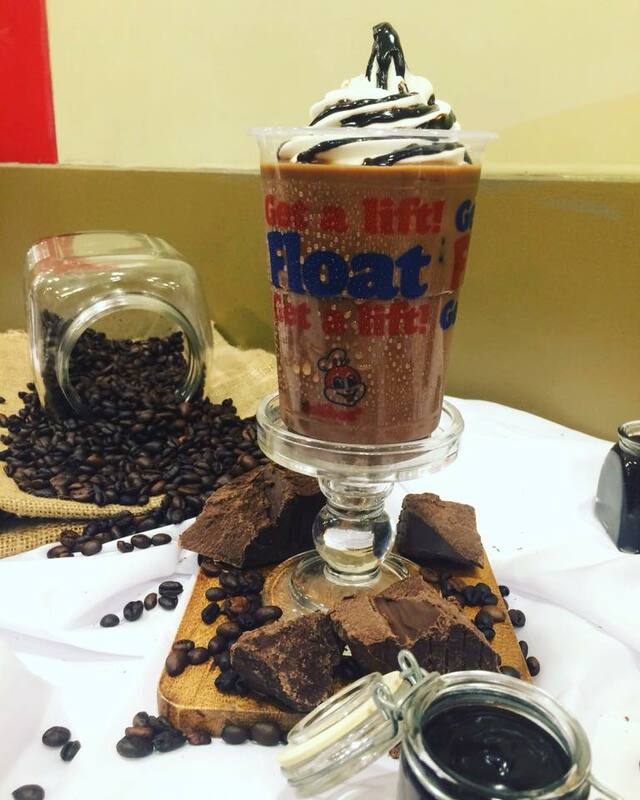 Twice the Indulgence with Jollibee Coffee Mocha Float! Some of the joys for me includes an interesting read, flying machines, the stormy weather and Jollibee! The dreary weather - thick dark clouds and strong breeze of wind - sometimes gets the better of me; the pitter-patter of the rain may literally nail me down in bed making my pluviophile-self anticipate the lucid petrichor. Imaging the dry thirsty earth kissed by a strong-willed raindrop and sizzle like a virgin! It reminds me of my simple days in Baguio where I get cozy beside a window facing the garden, waiting for a lightning to strike and tear the foggy sky for a millisecond and be amazed and yet terrified again and again especially right after what comes after it- the roaring thunder. 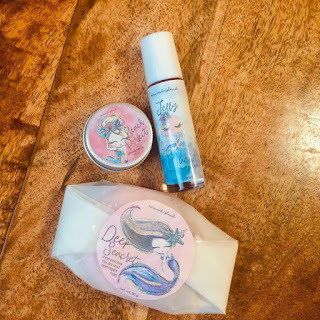 But alas, I’m a work-at-home mom now and not a student with suspended class so I need to snap back to reality before the children cry while fight each other because hangry (hungry and angry), so if you’re like me who needs a hype to zap up on your feet because bills and deadlines don’t go on-hold even during stormy weather, or if you just want something exciting than your regular hot cup of joe, then Jollibee got you! Jollibee knows that what we need to keep us and going despite the cozy bed weather and adulting responsibilities is the kick of coffee because caffeine can make you smarter and the sweet oxytocin-inducing chocolate will make boost your mood and energy! For only Php55.00, this delicious concoction of milk chocolate, creamy coffee with soft-serve vanilla ice cream drizzled with chocolate syrup will surely brain-freeze you so you’ll enjoy your reality in the midst of daydreaming, or maybe that’s just me fighting my daydreaming mind when I'm behind wheels. Honestly though, coffee makes me masipag, seriously shooting ideas to my brain while I shower (coffee-before-loo routine), inspiring me to start a personal project, article and DIYs on top of finishing my deadlines (design and assisting Clyde in his homework). I just can’t start the day without coffee, it’s like the key to my adult machine ignition. I want to embrace tea more at night so that I could sleep better but to wade off middle-of-the-day drowsiness, it’s still coffee! 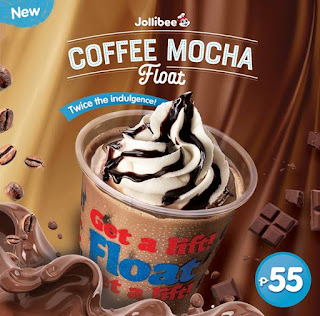 And just to keep things interesting, why not swap a hot cup of brew to Jollibee Coffee Mocha Float and experience what Jollibee has been giving children and children-at-heart, Joy - intense momentary experience of positive emotion! Want to feel good right here, right now, head on over to Jollibee and twice the indulgence with Jollibee Coffee Mocha Float!